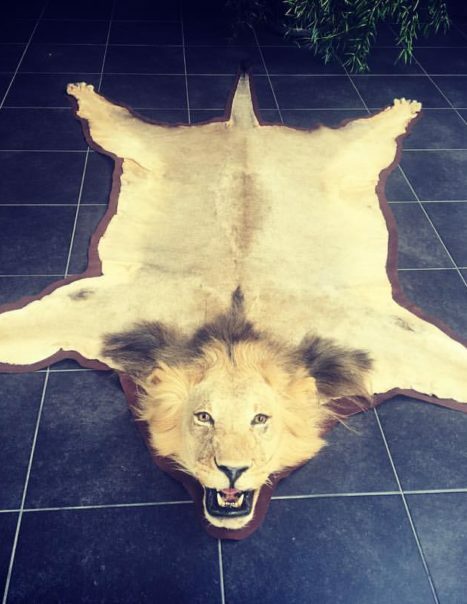 The Panthera leo is one of the five big cats in the genus Panthera and a member of the Felidae family.The white lioness is native from the Timbavati region in South AFrica. The lion is the second-largest living cat after the tiger. The lion’s closest relatives are the other species of the genus Panthera : tiger, jaguar and leopard. Highly distinctive, the male lion is easily recognised by its mane. Savanna and grassland are their typically inhabit, although they may take the forest and the bush. Lions are unusually social compared to other cats. A pride of lions consists of related females and offspring and a small number of adult males. While lions do not typically hunt humans, some have been known to do so. Sleeping mainly during the day, lions are primarily nocturnal, although bordering on crepuscular in nature. 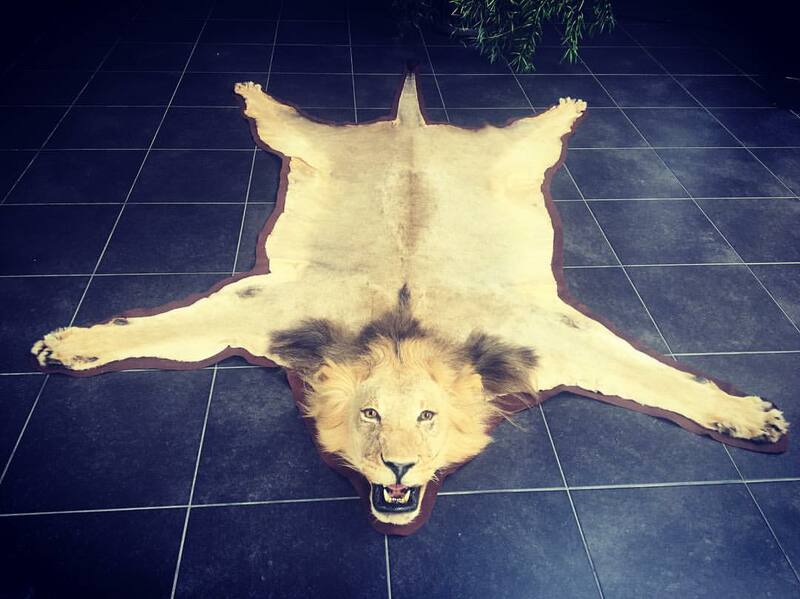 We realize a wide range of animal hides : zebra, lion rug, cheetah, polar bear…Those carpets are available with or without felt.